As many of you may have heard, activists have gathered on Wall Street to protest the downfall of America and the American economy. Don’t be part of the problem, be part of the solution. A large portion of the marijuana in America comes here from Mexico and other countries. The profits end up outside of the country, untaxed, with no benefit to the American people. We can change this situation by smoking marijuana that was grown in America, allowing the profits to land in the hands and wallets of Americans. Or, better yet grow your own marijuana. If you have any questions about growing feel free to refer to several of our Chronicology 101 and other Grow Guides posts. Help Save America, Smoke Homegrown. As a follow-up to our article Chronicology 101: Making Your Pot Turn Purple we thought it would be wise to mention several things that every ganja farmer should consider. While these tips primarily pertain to indoor growing operations, these are all talking points for outdoor grows as well. The first thing is that you want to make sure your plants have plenty of humidity. Marijuana is no cactus. Nature, Jah, or whoever did not design it to grow in the desert. All plants absorb water and nutrients through their leaves. If there is no humidity in the air, then you can understand why your plant will dry out. With this considered, misting the leaves of your plant with a mild dose of nutrients in water can be a wise way of giving them some additional fertilizer and needed nutrients. Also, the temperature that your plant is subjected to can greatly affect its growth. High temperatures will cause the stems to elongate, while cooler temperatures will cause the stems to be shorter. Most strains will practically halt growing under 40 degrees Fahrenheit, while some are frost resistant. The ideal temperature for growing is 70 degrees F, but anything within the range of 60 to 85 degrees should be fine. Seeing as plants’ metabolisms slow down with colder temperatures, it is also true that higher yields can be obtained at higher growing temperatures. Growing at higher temperatures will only produce higher yields if more light is provided, which if you know much about growing marijuana makes a descent amount of sense. CHRONICOLOGY 101 TOO BASIC??? CLICK HERE FOR SOME ADVANCED CHRONICOLOGY!!! Now, in our last article we mentioned dropping night time temperatures in order to make your pot turn purple, a.k.a. to get that purp. The plant should only be subjected to these conditions during the flowering cycle, since you want to maximize the growth that will occur during the vegetative stage of growth. However, since the plant grows a considerable amount during the flowering cycle you will be sacrificing yield for color. The color of your weed is pretty much irrelevant compared to quality, which should be the concern of amateur, professional, and commercial growers. But, stressing your plant into turning purple through temperature manipulation won’t really effect the quality negatively or positively. 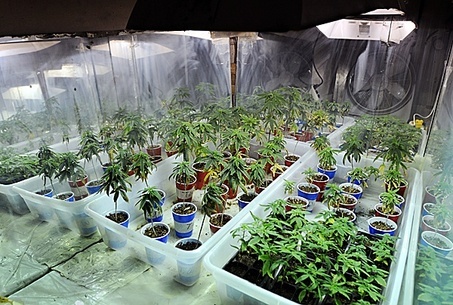 Beyond that, remember to provide plenty of air flow and ventilation for indoor grows. Use an oscillating fan, an exhaust fan, an air conditioner, a humidifier, a tower fan, one of those new fangled no blade Dyson fans, or whatever you have to. As you know plants need CO2 to grow, which we will focus on in an upcoming article, so maintaining good air flow is necessary for indoor grows. Other considerations you might want to make, are filters for exhaust fans, an air conditioner for intake fans, and as we just brought up CO2. If you have any questions feel free to contact us, and we will forward your request to our correspondents in the marijuana cultivation industry out in Colorado. 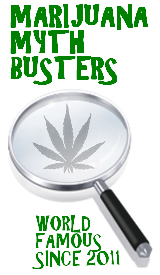 Thank you to all our fans for your continued support in our campaign to bust marijuana myths. We hope you found this informative. Anywhere and everywhere. There are smoke shops everywhere. The sugar cane fields are full of guerrilla grows. And, everybody there is a little burnt out. Pot is as easy, if not easier to find, than a –surf shack offering surfing lessons. When on Maui, we recommend you do both. Smoke pot and go surfing that is. One of the hot spots for the marijuana counter culture is Paia town. Check it out and stop by the Hemp Store. Paia: the world's windsurfing capital. If you are contemplating growing marijuana outdoors, we recommend that you do it. But, there are a couple of things that you should consider first. If someone finds your crop, you will probably not end up benefiting from your hard work. Depending on who they are they will take it or they will try to get you in trouble with the authorities. So, where you decide to grow is very important. Your location should be secluded, but not necessarily remote. If you know of a location in the woods that people don’t frequent that might be a good start. However, the further away form civilization you go the further you have to carry all of your supplies. The heaviest of all your supplies is water. So, your growing location should be very close to a source of water. If you are growing in the wilderness, close to a lake or a stream is a good start. However, you need to make sure that your site gets as much light as possible in order to get the maximum yield possible. The sun is the best source of light you could use for growing plants, however if your plants are only getting 3 hours of direct sunlight everyday you won’t have an impressive yield. Beyond that, we recommend breaking up the soil with a shovel before planting seedlings. And, definitely start the seedlings inside first and allow them to bulk up a little bit before putting them outside. Once outside, you might want to protect them with chicken wire, animals like deer honestly enjoy eating marijuana. This we know from personal experiences. You don’t want to check on your plants too often because you will wear a path into the dirt, but check your plants every few days or once a week. Try to go in between rain storms, your plant won’t need water everyday, but you don’t want its growth to be stunted from a lack of water. If you have any questions, shoot us an email at mjmbmail@gmail.com and we will get back to you as soon as possible. Good luck and congratulations on deciding to undertake possibly one of the best decisions of your life. Their is no feeling that is more rewarding for a stoner than to be smoking some pot that you grew yourself.